‘All you need is love…’ Scratch that… all you need is love and bacon. And all our love goes to these Bacon Wrapped Caesar Shrimp tonight! Preheat your grill to medium. In a small mixing bowl combine mustard, mayonnaise, garlic, lemon juice, pepper, Worcestershire sauce, and Parmesan cheese and whisk until well combined. Wrap each shrimp in a half slice of bacon and generously baste on the side with the Caesar dressing. Reserve some dressing for dipping. 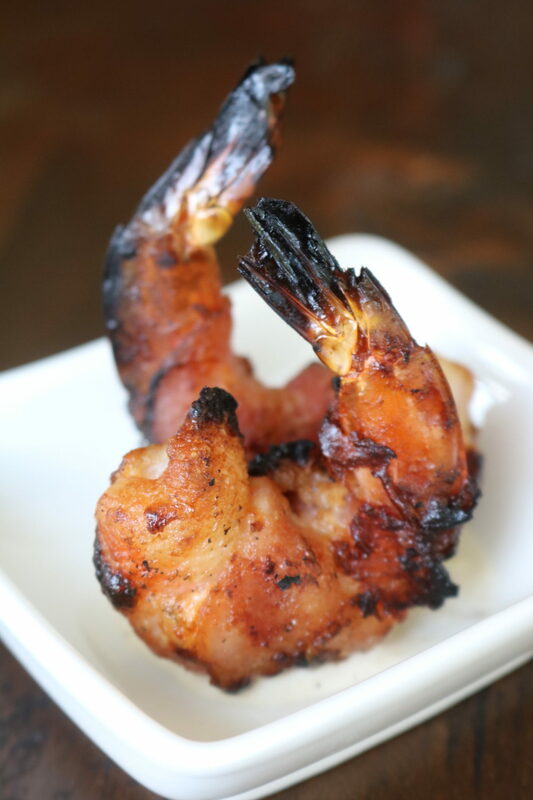 Place shrimp on the grill Caesar side up and grill for approximately 4 minutes until bacon has begun to caramelize. Flip shrimp and continue cooking until the bacon is thoroughly cooked. Remove from grill and serve with additional Caesar dressing for dipping. Enjoy!